Ticketgum is a secondary marketplace which offers resale tickets, prices may be above or below face value. Ticketgum.com welcomes you into the world of sport. Ordering your Fulham FC tickets is only a few clicks away. We have saved you the best seats in the house, so you can cheer along with all the loyal fans of Fulham FC at the stadium. Our Secure booking process, low tickets prices, and highly trained customer service staff, will make your journey to the match feel easy, safe and pleasant. * Book Official Fulham FC Tickets Now! * Fulham FC Tickets Have High Demand, Don't Miss The Opportunity. * Fulham FC Tickets Are 100% Guaranteed. Our site is secured by RapidSSL 256-bit SSL. Secure Sockets Layer (SSL) is a protocol for enabling data encryption on the Internet. RapidSSL Certificates help us keep our customers transactions secure with strong encryption. 04/02/2019 What to Wear to a Football Game? In this article, you’ll get to know about the owners of each football club in the English Premier League. These wealthy individuals own the biggest clubs in English football. 11/01/2019 Where is the Best Place to buy Football Tickets? Want to watch your favourite team play a match and get the full football stadium experience? There are many places where you can buy football tickets. But it’s important to consider all the options and find one which won’t leave you penniless. The Premier League has seen some of the biggest controversies and scandals in its history of 22 years. No matter whether it’s about infidelity, racism, or sexism, the league has every controversy that the world media can count on. Fulham Football Club are an English professional football club based in Fulham, West London, at their stadium: Craven Cottage. The team are also referred to as "The Whites" or "The Cottagers", referring to their ground. The team are most well-known for playing in the Premier League - the top-flight league in England. The club was created in 1879 as a team for local boys in Fulham St Andrew's Church. 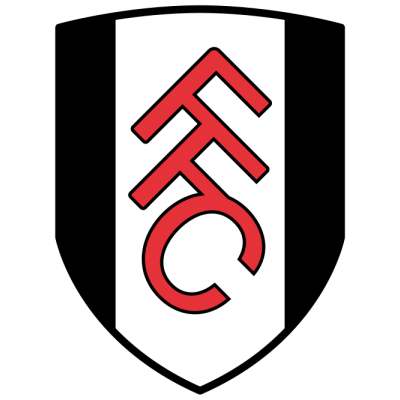 In 1889, the club rebranded as a football club and were to be known as "Fulham Football Club”. The club bought land, just north of the River Thames, which, after two years of development, turned into the famous Craven Cottage. The club moved in, in 1896, and gained professional status in 1898. Fulham climbed the ranks from the Southern League divisions to reach the national Football League in 1907. The following season, the team were just shy of a promotion to Division Two, but their success didn't end there: they also reached the semi-finals of the FA Cup. The team were finally promoted to the First Division in 1951/52, where the team struggled to adapt to the top-level, leading to relegation back into the Second Division. Following seven long seasons, Fulham eventually returned to the top-level for the 1959/60 season, but this time around was different. The club spent an impressive nine seasons in the top flight - the longest spell outside of the Barclays Premier League era - due to great management and team, including Johnny Haynes, Fulham's best-ever player. However, in 1969/70, the team tumbled back down to Division Three. But it wasn’t all bad, the FA Cup was one of the highlights of the 1970s for the team, where they made the final in 1975 after being pipped at the post on four different occasions. Fulham FC played West Ham United at Wembley Stadium, which unfortunately resulted in a 2-0 defeat. Despite an influx of high-profile players during the mid to late '70s, such as Bobby Moore and George Best, promotion back to the top-flight level was difficult. The club spent much of this time back and forth between the Second and Third Division. The team’s bad luck didn’t end there: after increasing financial pressure, Fulham had no choice but to sell the majority of their key players. In 1987, the situation worsened, and the club came dangerously close to extinction until ex-player, Jimmy Hill, came to the rescue. The next decade wasn’t very successful for the team, evident from a string of poor results. The 1995/96 season saw the team's worse ever league finish: 17th out of 24 clubs in Division Three. But, following this disastrous season, the club began to rise again the following season. On a very small budget and under the management, the club began to gain confidence and improve. The 1996/97 season started positively, and they got promoted to Division Two with four games in hand. Things began to look up for Fulham in 1997, when Mohamed Al Fayed took control of the club and promised top-flight football “within five years”. He appointed Kevin Keegan and bought in new players, including Paul Peschisolido and Chris Coleman. Al Fayed's plan was achieved in four years, as Fulham returned to the top level as Division One champions in 2001/02, after a 33-year absence. As well as breaking a number of records for the most wins (30), fewest defeats (5), highest points total (101), best goal difference (58) and highest goal scorer (Louis Saha 27). In their debut to the Premier League, the club finished the 2001–02 season in 13th place. The next season, former player Coleman was temporarily put in charge with five games remaining and helped Fulham to get 10 points out of a possible 15, finishing 9th. It wasn’t until Roy Hodgson’s appointment in 2007 that the club began to see impressive results. In Hodgson’s first full season in charge, Fulham had their most successful season at the top, finishing in 7th position – their highest-ever league placing – and qualifying for the UEFA Europa League the following term. In addition, Fulham enjoyed a third top 10 finish in four years in the 2011/12 season, claiming ninth spot. However, in the years to follow, much of their play was plagued by inconsistency, seeing the team battling relegation and being relegated. It wasn’t until the 2018/19 season that the team returned to the Premier League, after securing their first win at Wembley in their 139-year history in the EFL Championship play-off Final against Aston Villa. What is Fulham's Most Successful Period? The most successful period for Fulham Football Club was arguably under the management of Roy Hodgson in 2007. In Hodgson's first full season in charge, Fulham recorded their most successful season at the top. The club finished in 7th position, their highest-ever league placing, and guaranteeing a spot playing in the UEFA Europa League. How to Buy Fulham FC Tickets on Ticketgum? Choose a Fulham from the selection at the top of the page. Select where you would like to be seated and update the ticket quantity. Enter your address for delivery. Create an account or log in with an existing account. Wait for a confirmation email to be sent to your email address. Enjoy your tickets and the game!